Cosmetic rhinoplasty differs when performed on members of any ethnic group. Afro Canadian rhinoplasty is no different. The surgeon must have a complete understanding of the features common to Afro Canadians. As with all rhinoplasty, he must also have a complete understanding of the patient’s desired outcome. In most cases, an Afro Canadian patient does not want to have a Caucasian nose after surgery. It will look unnatural. It is therefore important for the surgeon to fully understand the patient’s expectations. With this understanding, an experienced master surgeon should be able to create the desired look without any loss of Afro Canadian ethnic features. What is Different About an Afro Canadian Rhinoplasty? Typically, Afro Canadian noses have wide bases and are not sharply-defined noses. The wider base results in a more “horizontal” shape, a bottom heavy appearance and, sometimes, in flared nostrils. Some other differences are less obvious. The skin is thick and abundant. Afro Canadian noses often have especially thick skin on the tip of the nose. They have short nasal bones, that are wide and flat, also contributing to that horizontal shape. The nasal bridge is frequently low and under projected. It is important for the surgeon to be aware of these shape differences as he operates, so that the finished nose looks natural. An understanding of the difference in the tissues and bone is equally important to ensure a smooth recovery process. The surgeon must also understand the different aesthetic reasons that people of colour seek cosmetic surgery. Achieving these goals may require different Afro Canadian rhinoplasty techniques than those that would be used on a Caucasian nose. If the patient wants a more defined bridge and tip, an implant may be used, or cartilage can be grafted from elsewhere on the body. All cosmetic surgery should result in a balanced and proportionate result. But ethnic rhinoplasty should also allow authentic ethnic features to be preserved, even though a “new look” is revealed. Ethnic patients occasionally bring photos of celebrities to their initial consultation. This will cause the surgeon some concern. 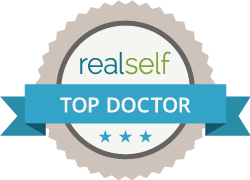 As a cosmetic surgery patient, you need to have realistic expectations in order to be happy with the result. Most of magazine photos have been airbrushed, the lighting professionally optimized and professionally applied make up. The goal is to embrace the cultural identity of any patient while remembering that beauty is cross-cultural. Creating subtle balance, enhancement, and refinement, without eradicating ethnicity, can produce a beautiful result.